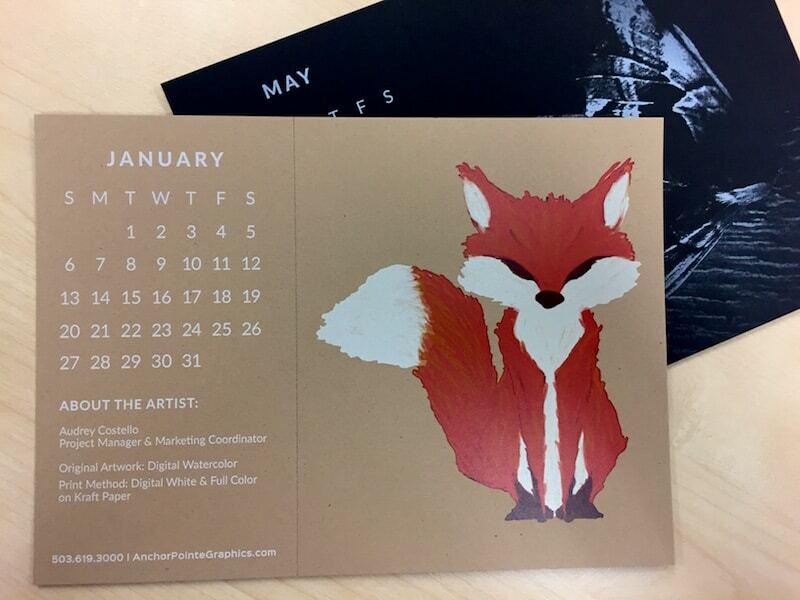 This is the third year in a row we’ve produced a 12-month desk calendar to send as year-end gifts to our partners. 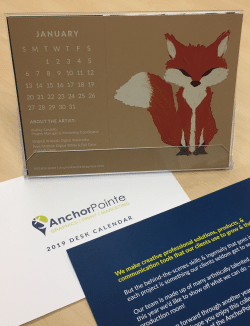 Celebrating another successful year at AnchorPointe, we made our 2019 calendars an artistic collaboration – created by the APG team! 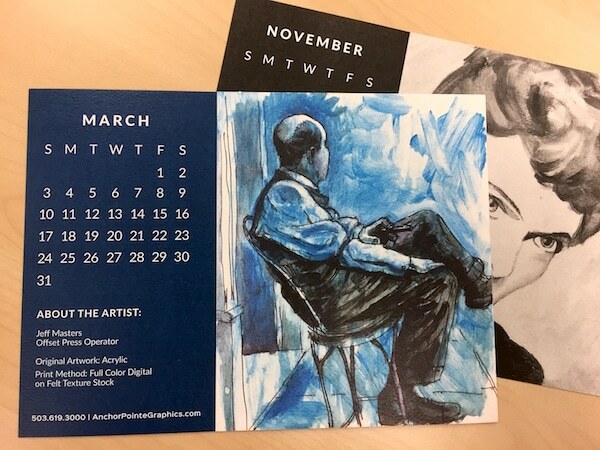 Check out some of the pages featured below, printed as part of the 8.5 x 5.5″ calendar layout. 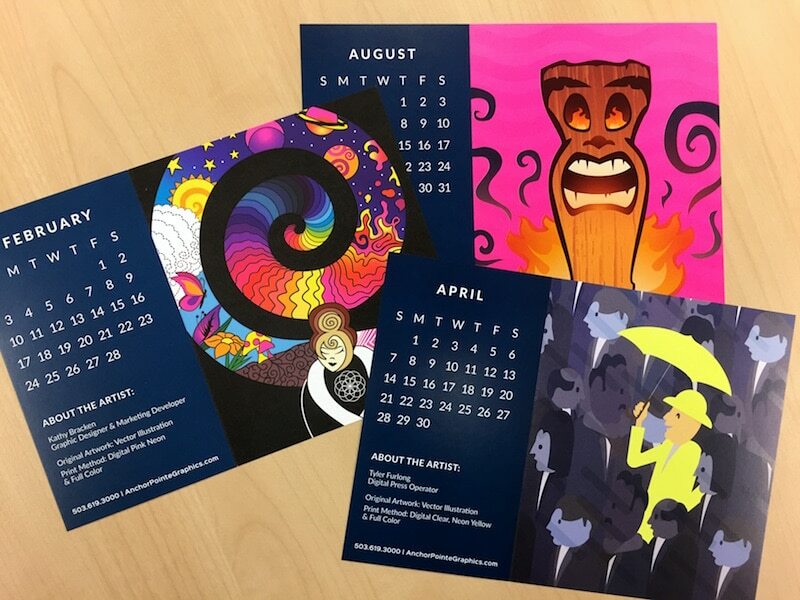 Each piece was produced using at least one of our Digital Print capabilities to showcase the wide variety of unique techniques we can create with!